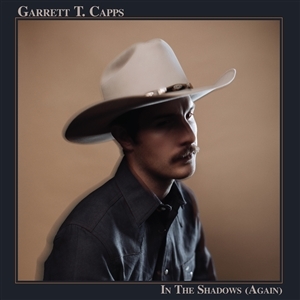 In the Shadows (Again) evokes a weird, hipster honky-tonk that hearkens alt.country and cowpunk while then turning both sounds on their head. The hard-twinging twang of opener "Born Into a Ballroom" and "Go Home" disorient with subtle effects, a lo-fi wandering through the dancehall in an opiate haze. Similarly, "The Interstate 35 Waltz" approximates Wayne Hancock on downers. Winding seven-minute side A closer "Here Right Now" rolls out like a West Texas road mirage in Capps' low drawl. The backside's "Baby Please" delivers the LP's most straightforward offering, sandwiched between the warm warp of "Dancin' Hands" and epic 11-minute closer "Trouble's Callin'." The effect is Texas surreal.